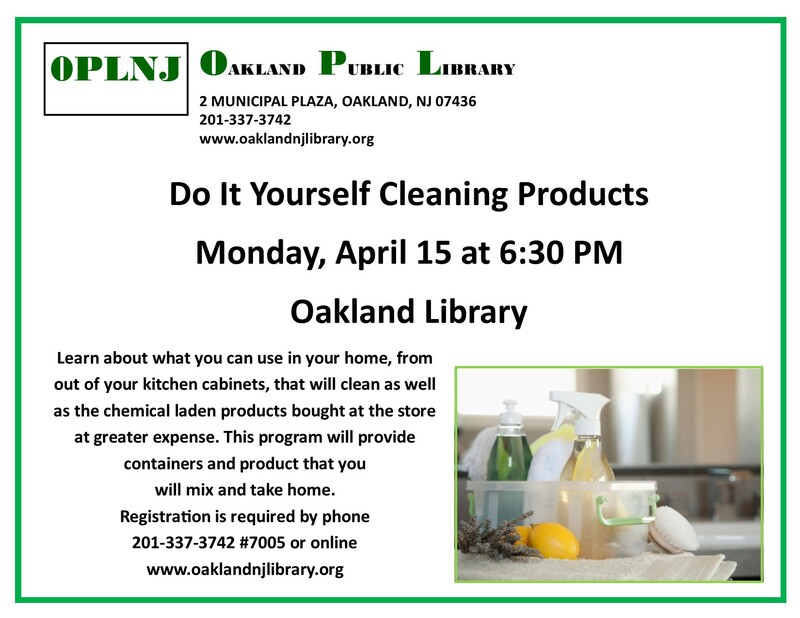 Our Annual DIY program on making your own cleaning products and room freshener. Learn about what you can use in your home, from out of your kitchen cabinets, that will clean as well as the chemical laden products bought at the store at greater expense. This program will provide containers and product that you will mix and take home.